The staff at Beth Israel Deaconess Hospital-Plymouth (BID-Plymouth) is committed to providing the highest quality care to you and your family. This is why BID-Plymouth is joining with Massachusetts hospitals, nurse organizations, business and civic groups to oppose Question #1 on this November’s ballot. Question #1 would institute inflexible, government-mandated, nurse staffing ratios at hospitals throughout the state regardless of a patient’s needs. Patient assignments at BID-Plymouth are currently determined by our experienced nurses on the floors. No two patients are alike. Age, severity of illness or injury, overall health and other medical conditions all factor into a professional nurse’s decision making when determining patient assignments. Government-mandated staffing ratios would ignore this fact. At BID-Plymouth, we maintain flexible staffing based on individual patient care needs. And, we use benchmarked nursing care hours to ensure that high-quality care is provided to each patient in a safe manner. Over the last three years, we’ve received numerous national awards and recognition for our quality of patient care and safety. Government-mandated staffing ratios do not improve patient safety. At BID-Plymouth, we work together as a team with our talented nurses and physicians and have built-in staffing flexibilities that allow us to react to extreme volume changes during emergent situations. This assures that ALL patients who require attention are able to receive it in a timely manner. Government-mandated staffing ratios would delay patient care. 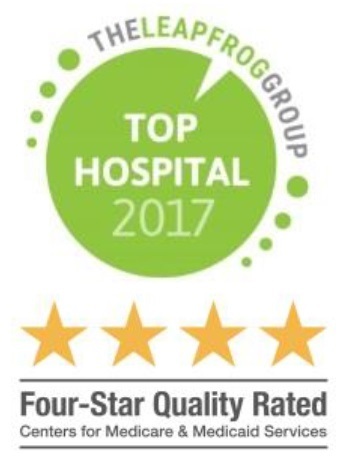 BID-Plymouth’s nurse staffing practices has helped us attain recognition as a Four Star Centers for Medicare and Medicaid hospital, a Leapfrog Top Hospital and an A-Rated hospital for patient safety and quality. This is a direct result of how everyone at BID-Plymouth works together as a team. Government-mandated staffing rations will restrict our ability to provide the best possible care for our patients. How will Question #1 impact patient care? A recent study by Massachusetts Healthy Policy Commission concluded that Ballot Question #1 will add an estimated $950 million annually in additional costs to the state’s hospitals. These are costs that would ultimately be paid for by you. Ballot Question #1 will result in an estimated statewide shortage of more than 5,000 nurses. Community health centers, visiting nurse agencies, nursing homes, hospices, behavioral health facilities and community hospitals, like BID-Plymouth, would all be greatly harmed as community nurses may decide to work in larger hospitals that can afford to pay more. Hospitals statewide, including BID-Plymouth, will be forced to make very difficult decisions about services they could continue to offer the community due to the cost of government-mandated nurse staffing ratios and lack of nurses. Hospitals could have to reduce staffed beds, and some hospitals could even be forced to close. California is the only state with mandated nurse staffing ratios. Fourteen years after implementation, not one study has conclusively shown that ratios have improved care there. In fact, the latest data from the Centers for Medicare and Medicaid Services shows that in hospital quality and patient satisfaction, Massachusetts hospitals scores are the same or higher than those of California hospitals. Beth Israel Deaconess Hospital-Plymouth opposes Question #1 because we are already providing exceptional care with our own nurse staffing ratios and we’ve received national recognition for the care we provide to you, your family, and the community. Learn more by visiting www.protectpatientsafety.com.